Tofu infused with Lapsang Souchong Tea and Soy Sauce is a sure pleasure for the taste buds. Start off with two blocks of medium firm tofu. 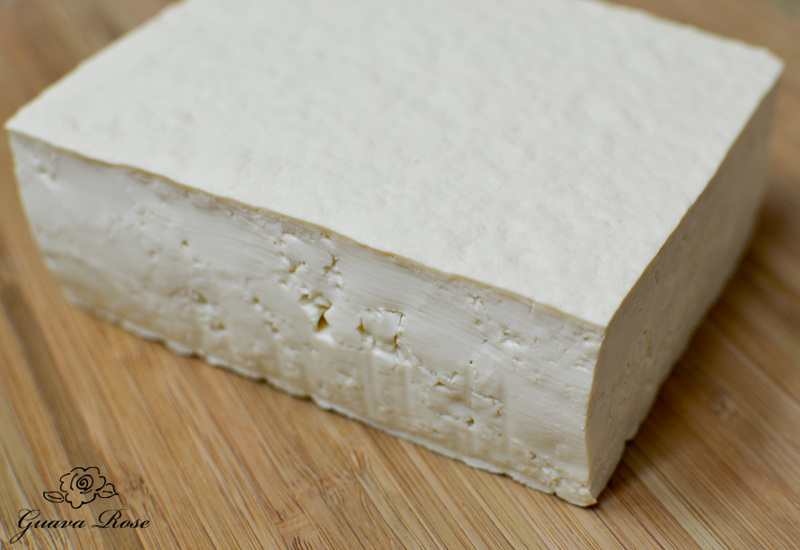 Stay away from soft and silken tofu for this recipe– they’re simply too soft and fragile here. 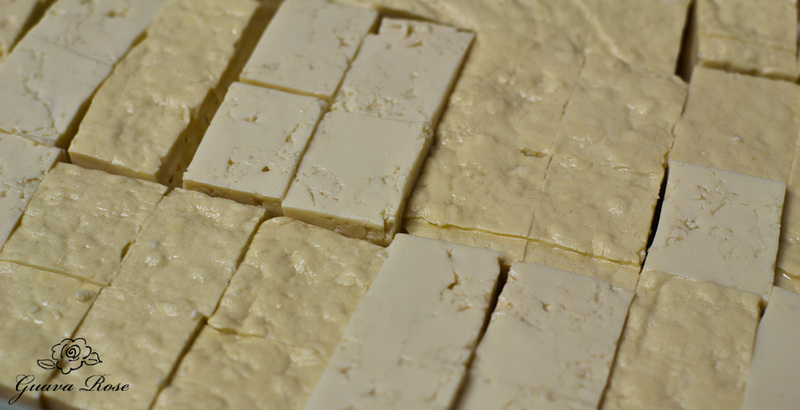 Quarter each block of tofu into 4 smaller blocks. Then cut each small block into 8 cubes. You should have 64 cubes of tofu from the two initial blocks of tofu. 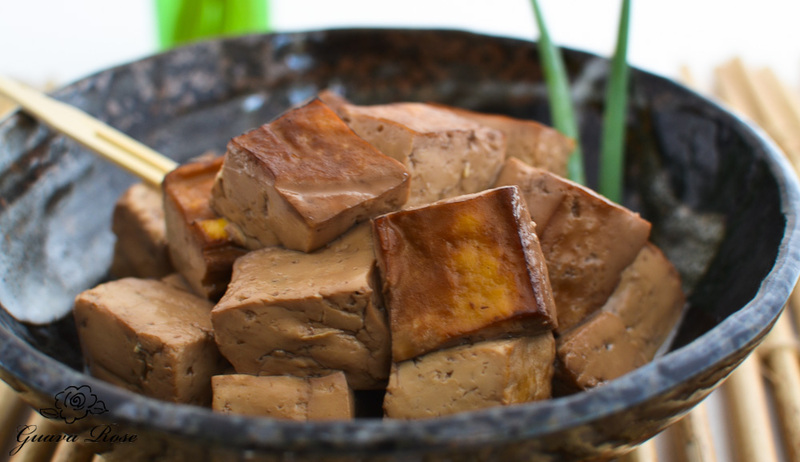 Place tofu cubes in a baking dish, arranged in a single layer. Don’t use an overly large pan — ideally the tofu should be completely covered with the cooking liquid. For the seasoning, we’ll be using shoyu, maple syrup and Lapsang Souchong Tea. 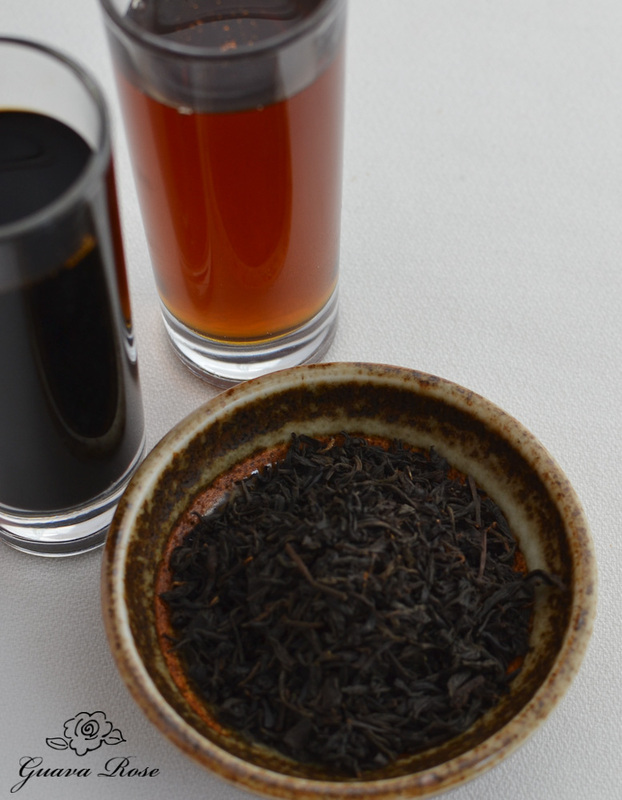 Lapsang Souchong Tea has a rich, distinctive smoky flavor and aroma. It gets its smokiness from the tea leaves having been dried over a pinewood fire. It is said to have originated in China, during the Qing Dynasty. The villagers, hindered by invading soldiers, needed to process the tea quicker than normal, so they chopped off some pine branches, lit a fire, and dried the tea. You can read more about Lapsang Souchang Tea here. 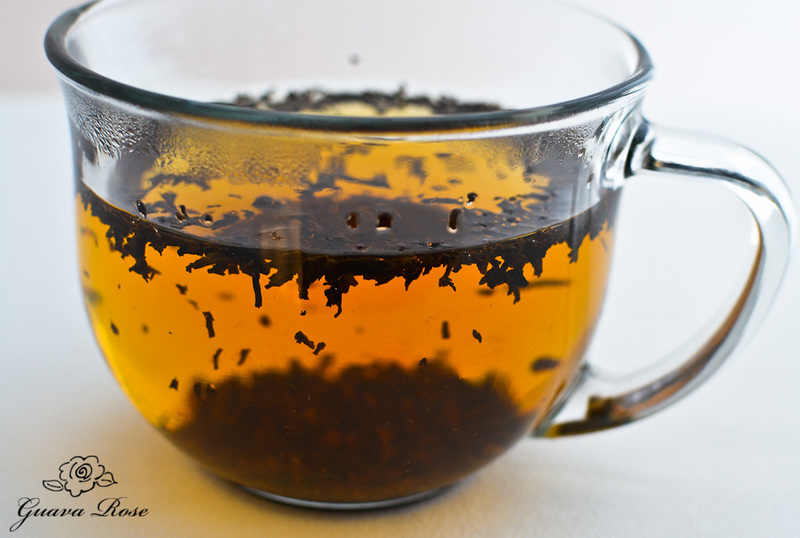 Take one tablespoon of Lapsang Souchong Tea and steep it for 5 minutes in 1-1/4 cups of almost boiling water. Strain out the tea leaves, then stir in the maple syrup and shoyu. Pour over the tofu cubes. You can add a little more hot water if the cubes are not mostly covered. Bake uncovered at 350 degrees for an hour. Since the oven is already on, I usually bake something else in the oven at the same time, to conserve energy. A whole roast chicken, scalloped potatoes, roasted vegetables and coffee cake are some good dishes to consider making alongside. Remove the tofu from the liquid with a slotted spatula to a serving dish. If left to cool in the liquid, the tofu tends to get too salty. The tea really must be Lapsang Souchong Tea– no substitute. There is no other flavor like it. 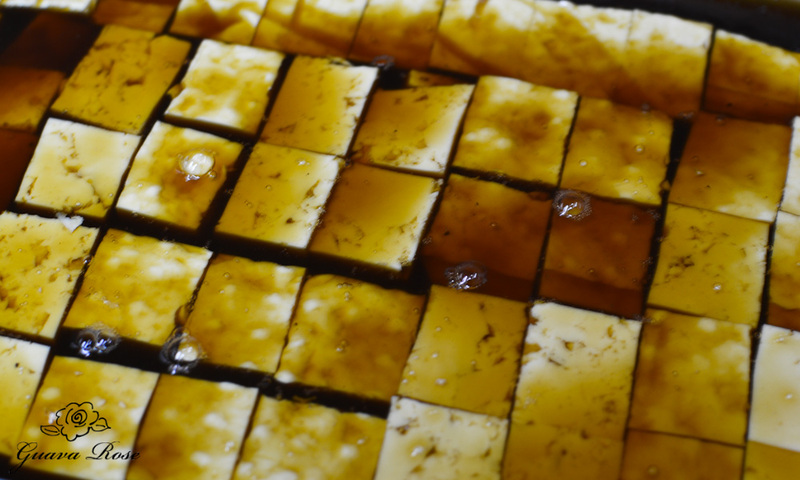 Regular black tea will result in unremarkable, salty tofu cubes. I tried black tea and even added liquid smoke, but it was still a no go. You can purchase Lapsang Souchong Tea easily online, and at most all tea shops. I usually get mine online from two nearby based retailers, the Rebuplic of Tea,and Lupicia. I did manage to quickly squeeze a toothpick in amongst the heathens and snare two little cubes for the Blue Dinosaur. He gave me a puzzled look when I gave them to him later, in a tiny shoyu dish. Quarter each block of tofu into 4 smaller blocks. Cut each smaller block into 8 cubes. 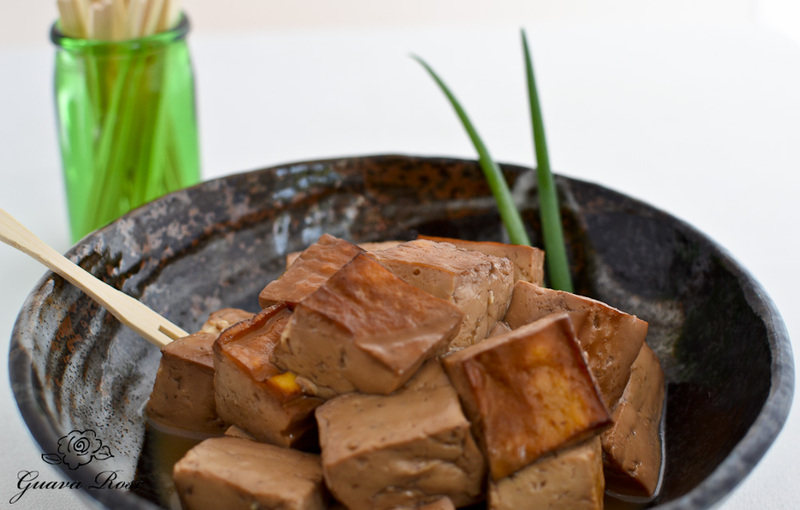 You should have a total of 64 little cubes from the original 2 blocks of tofu. Fit the cubes in a single layer snugly in a baking dish. Steep the tea in the hot water for 5 minutes. Strain out tea leaves. Add sugar and shoyu. Pour over the tofu cubes. Add a liitle more hot water if the tofu cubes are not mostly covered with the liquid. Bake at 350 degrees for 1 hour. Remove with a slotted spatula to a serving bowl. Cool slightly before eating. Tastes great warm, at room temperature, or even cold.